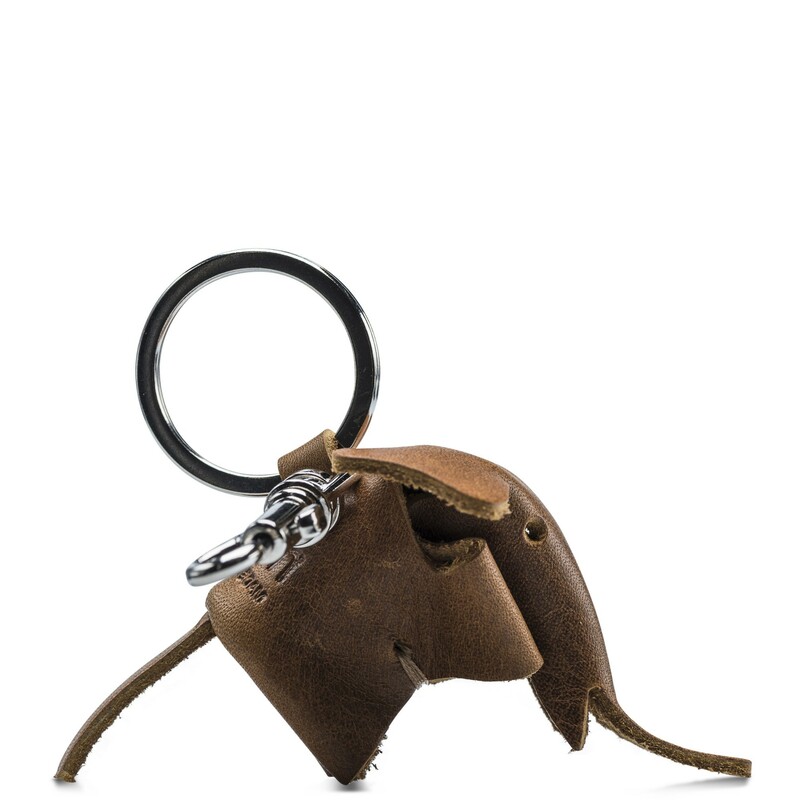 Elephant Key Ring made of Matador leather. Features a metalic key ring and hook. Can be used to carry your keys or be attached to your bag as decoration.